2 Neck Offset Round Heavy Wall Bottom Flask - FREE Shipping! This USA made 2 Neck Offest flask is designed specifically for Short Path Distillation units and offsets the distillation head and cow so there is more clearance from the heating mantle. 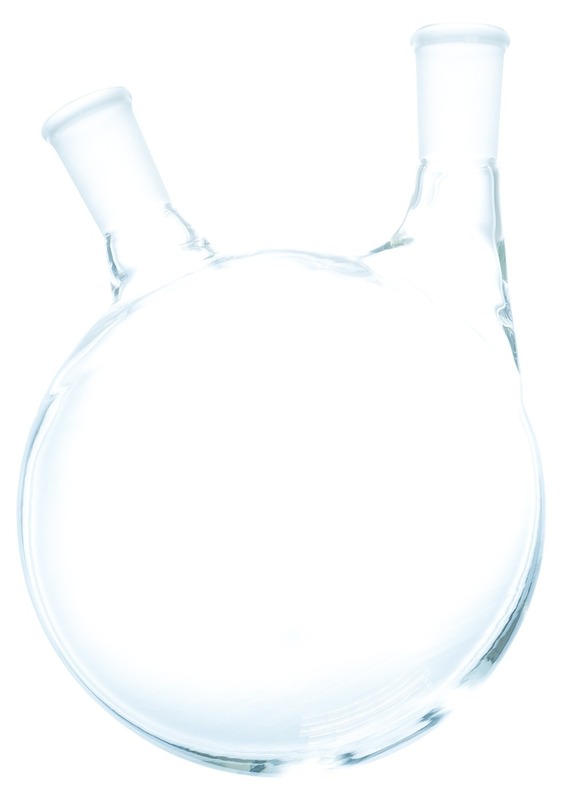 These flasks are made of heavy walled borosilicate and both have a 24/40 Female joint at a 20° Angle perfect for a heating mantle probe.